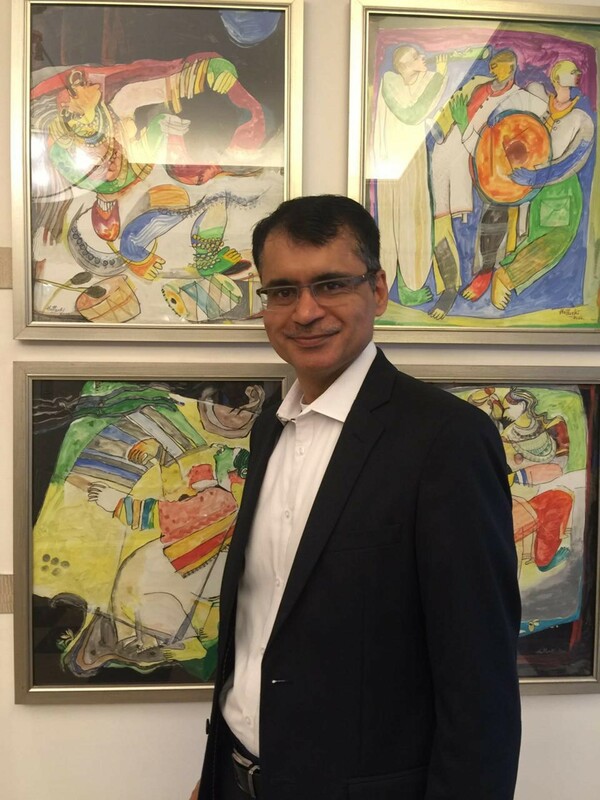 Sandeep Sharma is managing director of South Asia and Middle East Operations for NICE, a global data analytics firm helping organizations improve their business performance, increase their operational efficiency, and prevent financial crime. A 2001 graduate of Fuqua’s Weekend Executive MBA program, Sharma’s career has taken him from engineering to business, including experience in research and development, marketing and product management. Sharma shares his perspective on his industry, his region and leadership in this Fuqua Q&A. Learn more about how Fuqua is addressing the demand for data analytics with its MQM: Business Analytics program. Q: What are the biggest challenges currently in the data protection and analytics industry? What do you see as the next leap forward? The biggest challenges are security and deriving real-time actionable insight from massive amounts of data. Analytics makes sense of big data, mounds and mounds of data that spans terabytes or petabytes of information. Given the scale of data under consideration, a small security breach can potentially compromise information for millions of us. Data protection is hence of paramount importance. Usually, big data is characterized by the three Vs: volume (the petabytes of information that continues to increase in volume with each passing second), variety (data is gathered by ever increasing number of sources like emails, phone calls, social interactions, videos, and photos) and velocity (the intent to make sense of the data in an ever increasing trend towards real-time). Adaptive analytics platforms allow us to work with huge volumes of data that come from a variety of sources and are pushing the envelopes of velocity to make decisions in real time. A good example: Imagine shopping for car insurance on a website and simultaneously talking to a call center agent to answer related questions. A capable analytics platform would allow the call center agent to be instantly aware of what the consumer is doing on the website, and create actionable recommendations for the agent to help guide a purchase decision based on similar journeys that millions of other consumers might have taken. Q: Your background is in engineering. Which of the skills you picked up from that training have proved the most useful in your business career? A firm grounding in analytical skills deriving from a rigorous STEM-based engineering education. Generally, there is no direct real-life applicability of any specific course taught in engineering schools, only a deeper theoretical masters or Ph.D program would allow building upon a particular undergraduate course. A successful business career requires the ability to deal with a variety of situations, utilizing analytical skills and taking data into consideration to help guide decision-making. There are, of course, a few key exceptions in engineering that do have direct applicability in business life, especially for Internet startups founded by and employing fresh graduates. Computer science is one such course where specialization is immediately applicable upon finishing an undergraduate degree. Q: What can western companies learn from how business is conducted in Asia? Housing more than 60 percent of the world’s population, most of it in India and China, Asia really cannot be ignored by any western company that wants to claim market leadership. The key takeaway for western companies from how business is conducted in Asia is mainly in sourcing a supply chain for their products that allows survival in a brutally cost-competitive market. If a western company can establish the framework for profitable business in Asia, it will by definition have set up a framework for itself to be profitable anywhere else in the world. This is a key reason why wildly successful western companies like Apple, Amazon, and Google look to Asia not just to extend their market reach but also improve their profit margins globally. Q: What advice do you have for entrepreneurs looking to start a business in India? There has never been a better time to start a business in India. A progressive government is in charge and has been looking to cut red tape and bureaucracy, creating an environment for entrepreneurs to innovate and take India towards a 100 percent digital economy. The recent demonetization policy of the government is one step in this direction. Entrepreneurs looking to do business in India should team with local talent that understands the local market, plan to not get frustrated with setbacks in their experiences with the governments while getting the business going, and ensure their business plan is tuned to the economics of the local market to deliver profitable growth despite significant competitive pressures that keep prices of their offerings very low. Q: What do you consider the most important qualities in an effective leader? The three main qualities of an effective leader that have been my guiding principles are clarity of vision, ability to attract world-class talent, and strong communication skills. These skills build upon each other. There is no point having a very clear vision if one cannot communicate it well, either verbally or in the written word. And attracting world-class talent is not just the ability to spot such talent, but also to be able to communicate an exciting vision of the company.